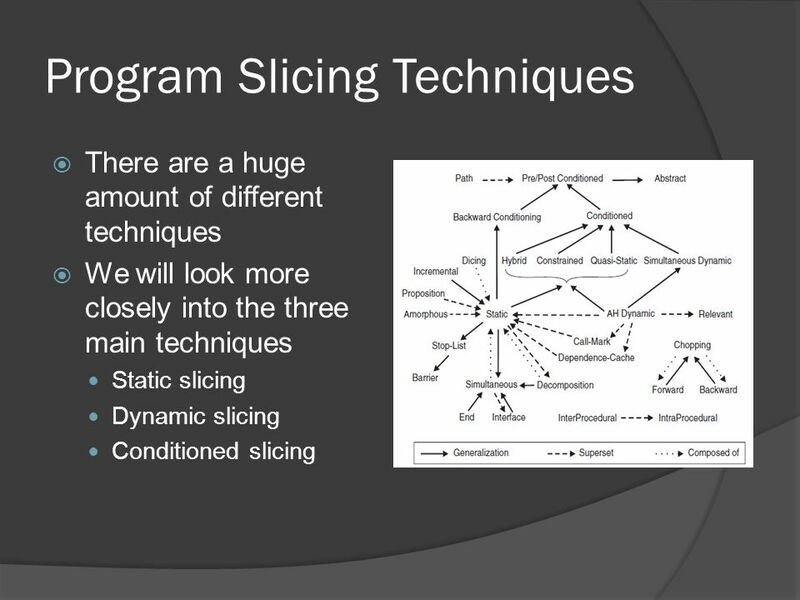 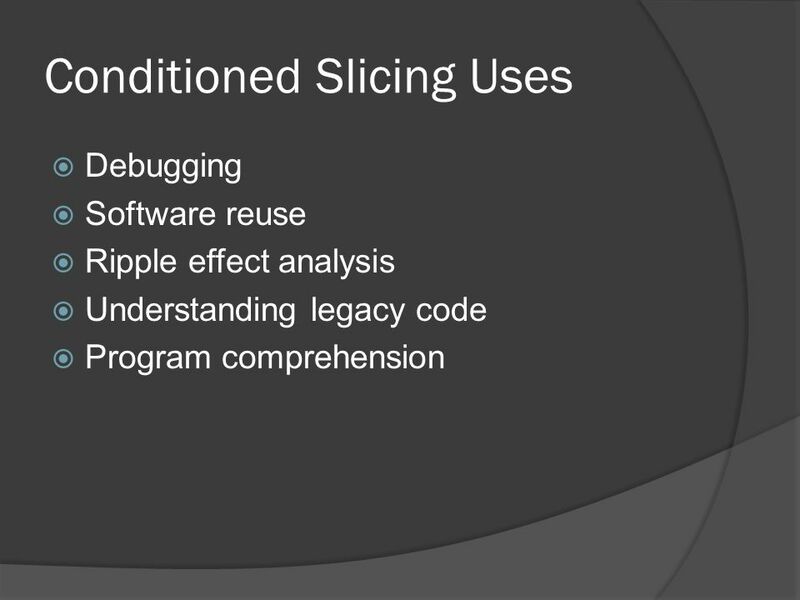 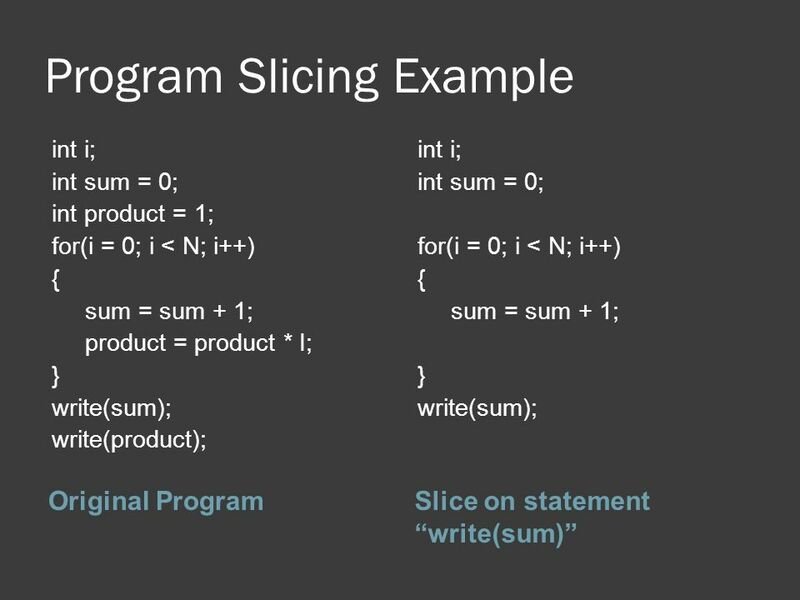 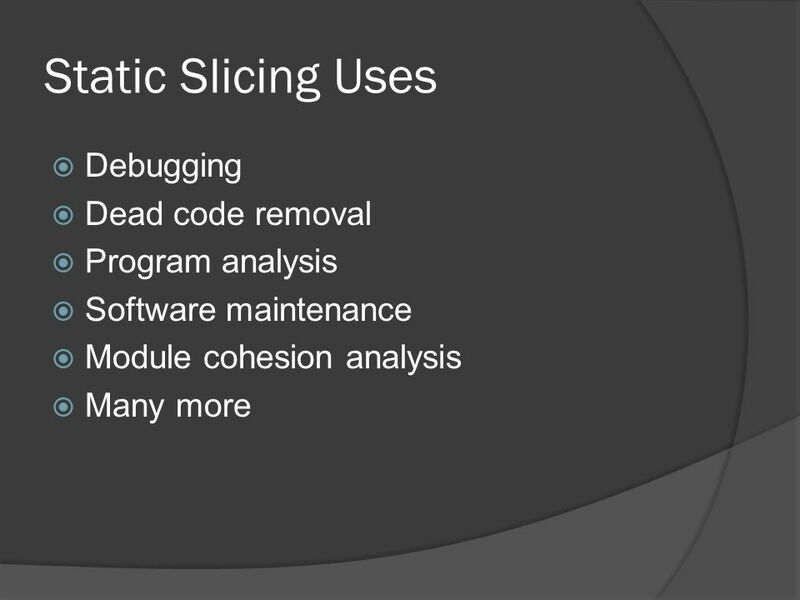 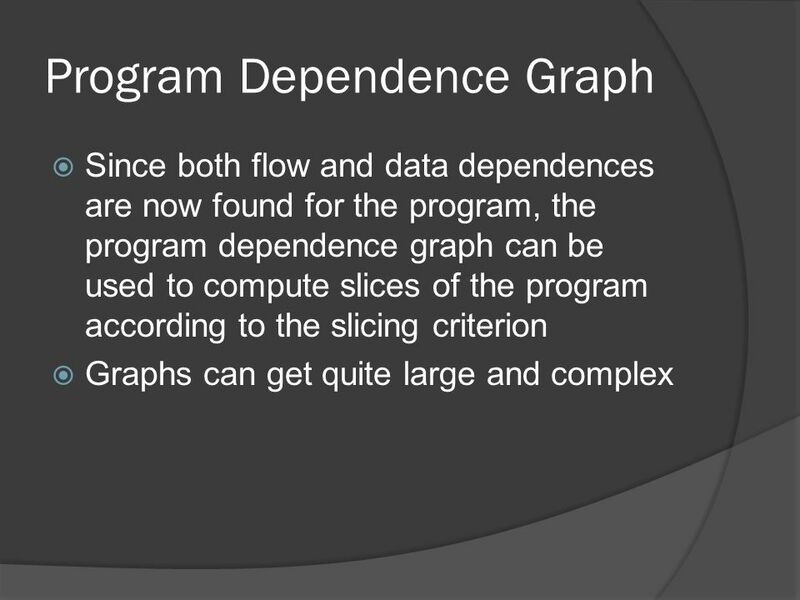 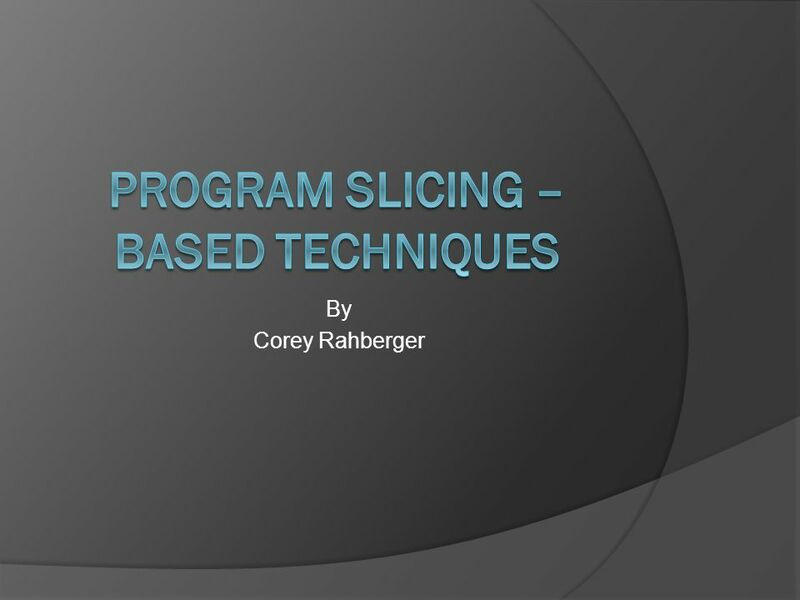 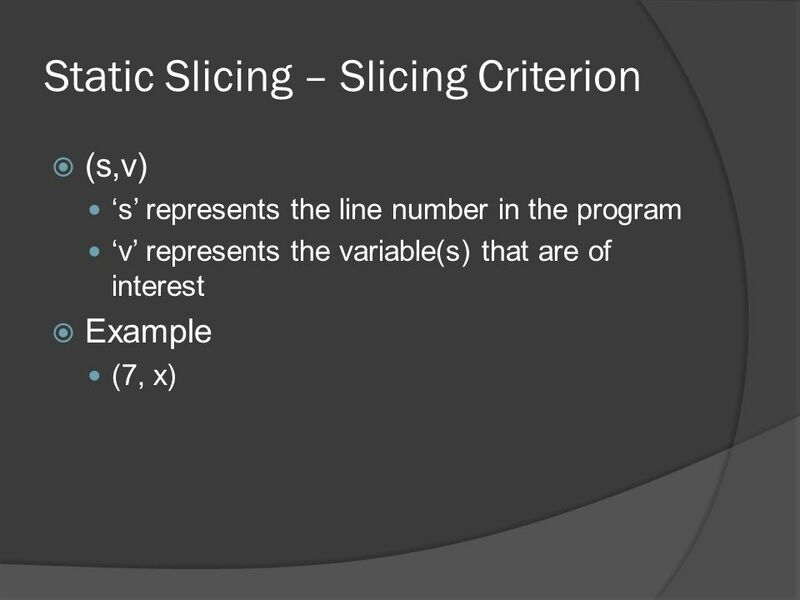 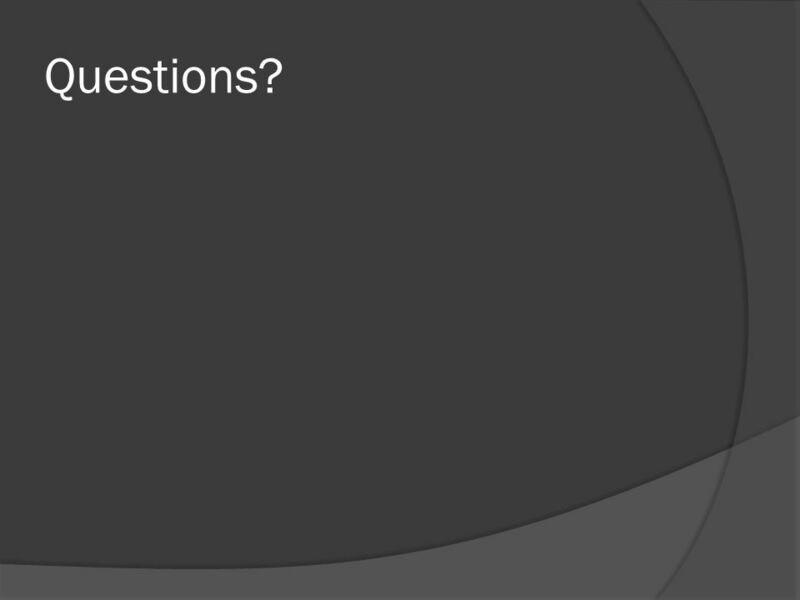 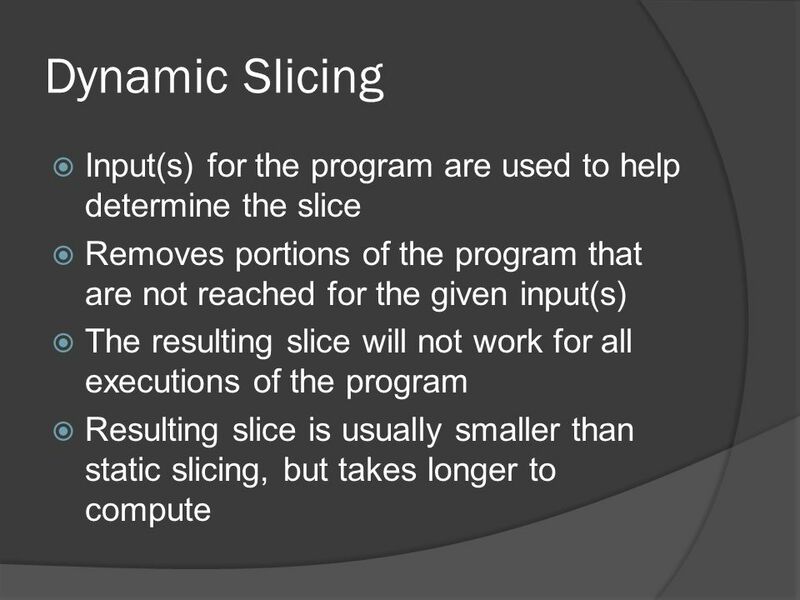 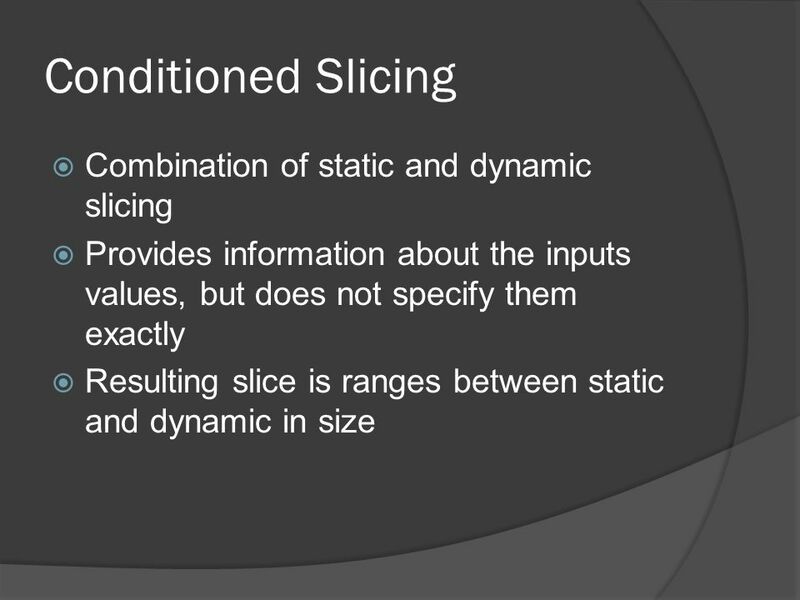 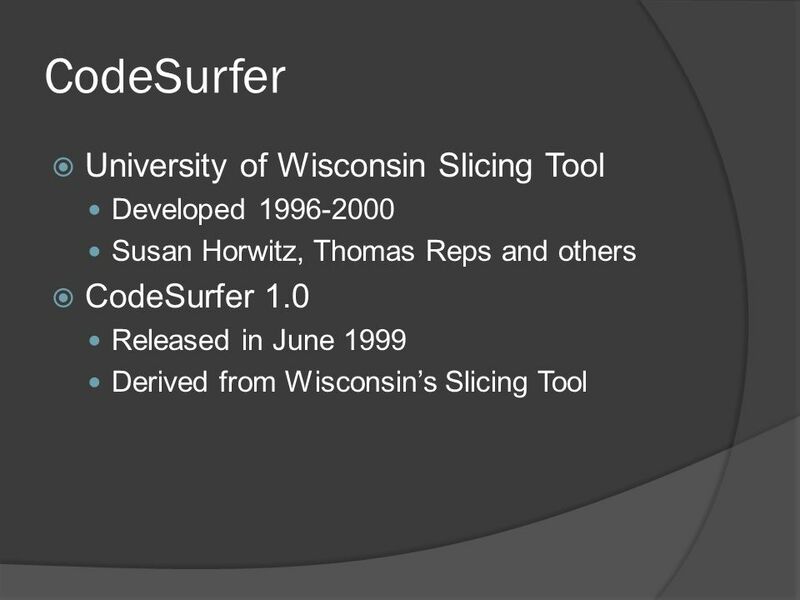 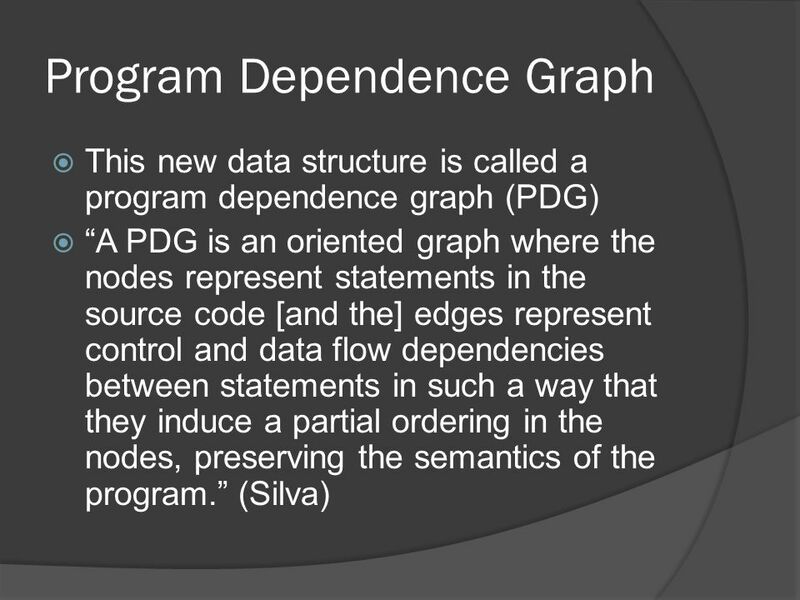 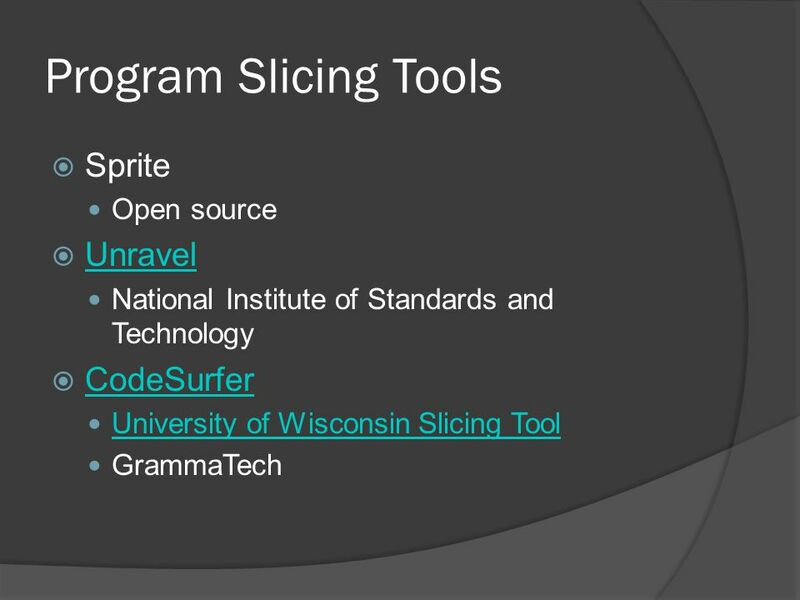 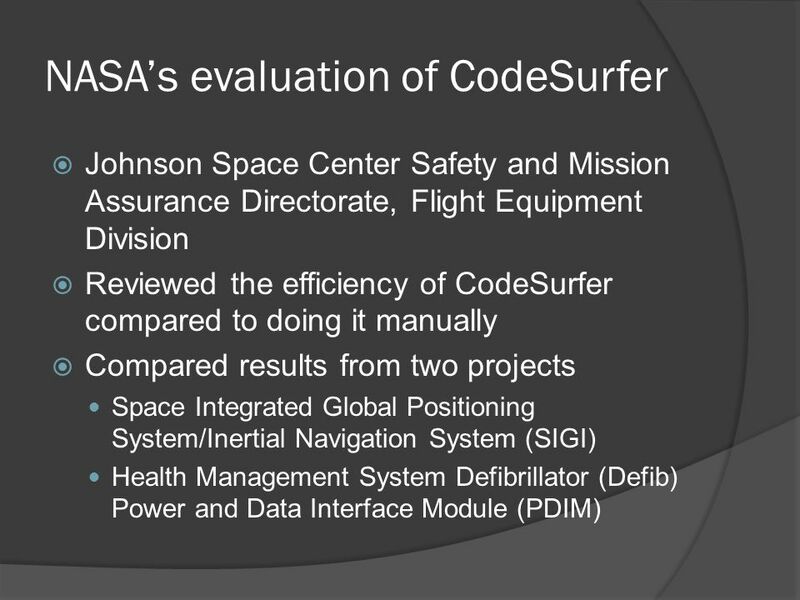 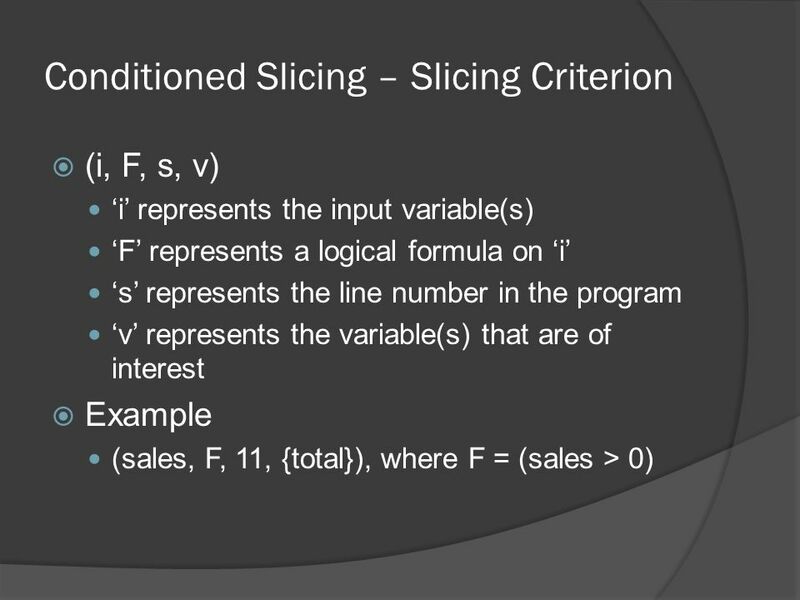 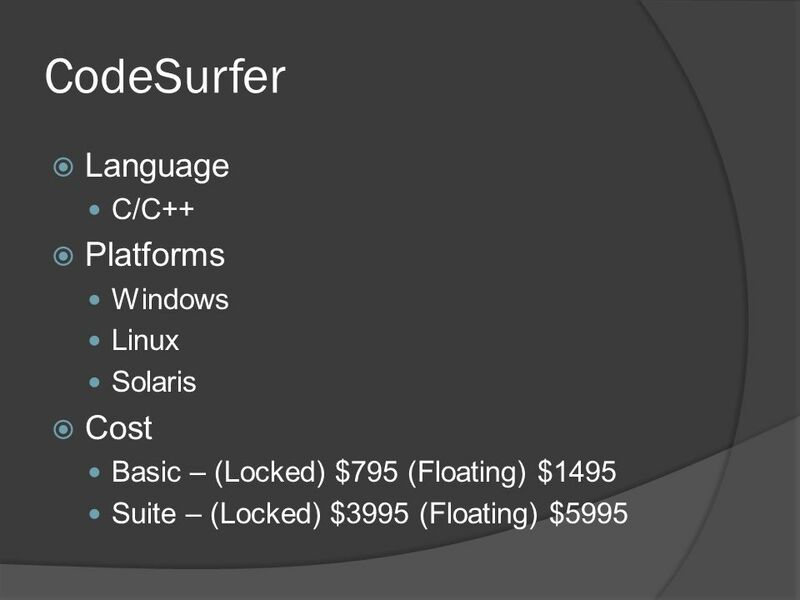 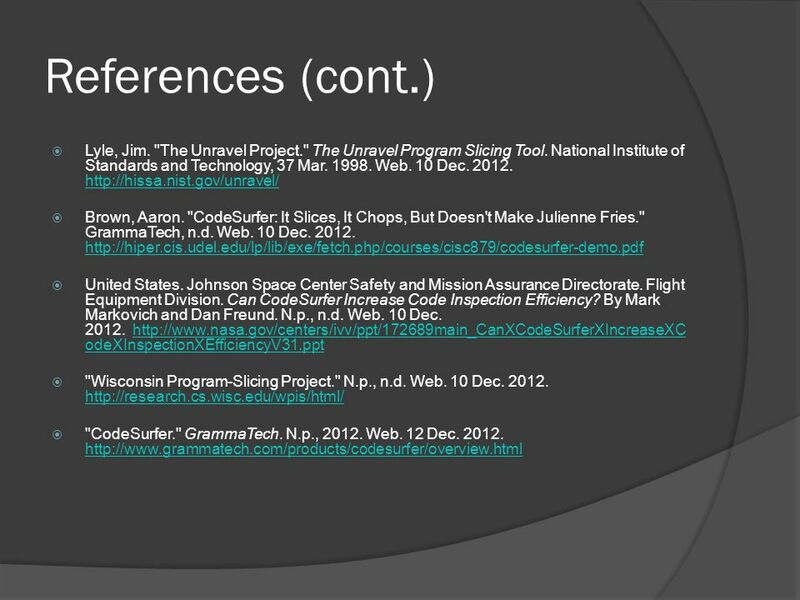 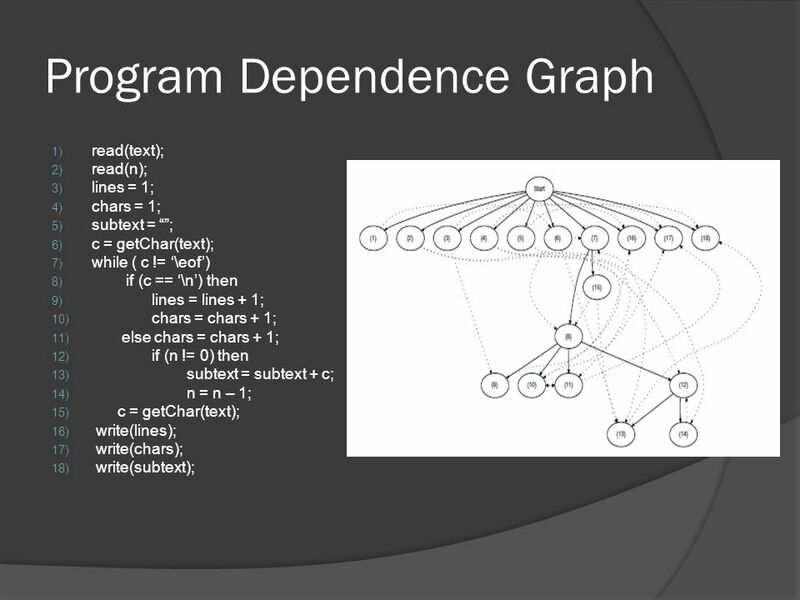 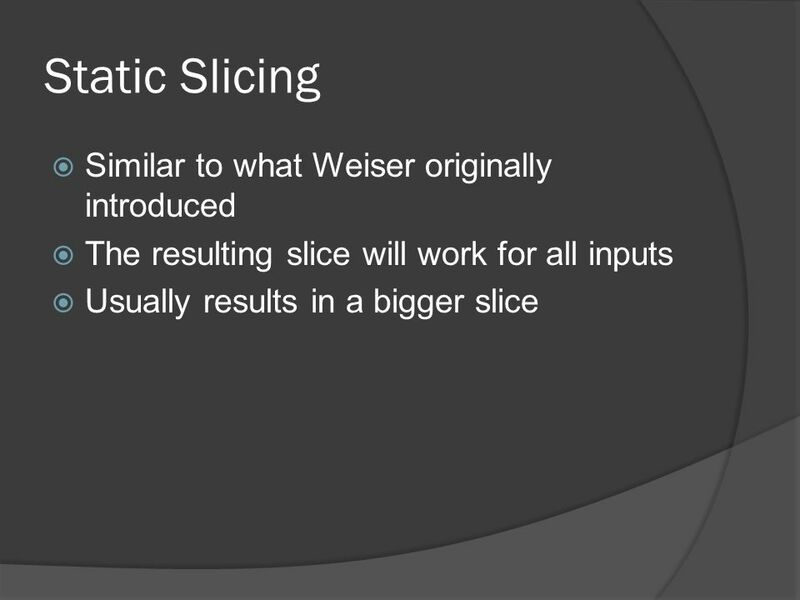 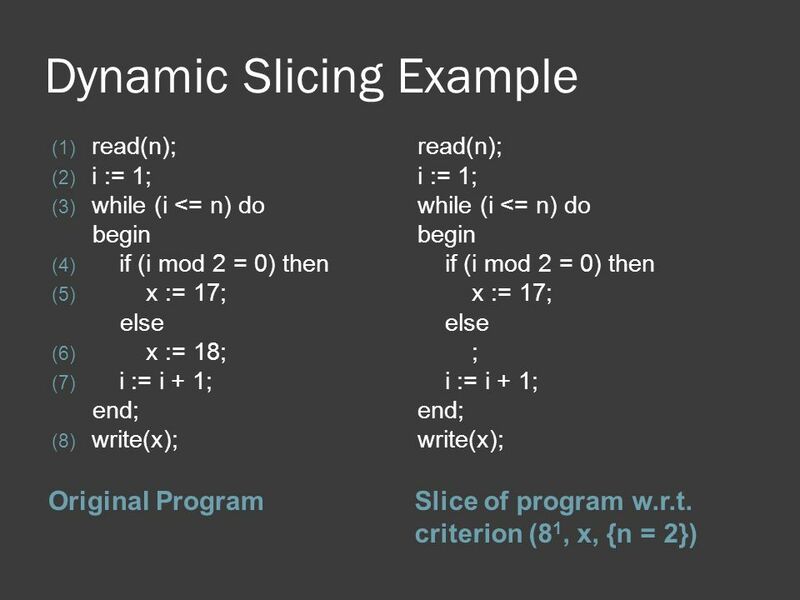 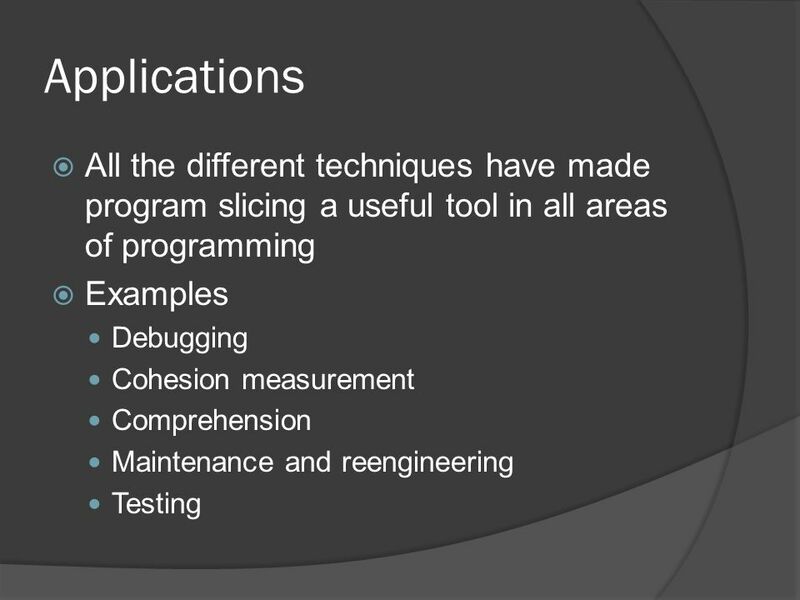 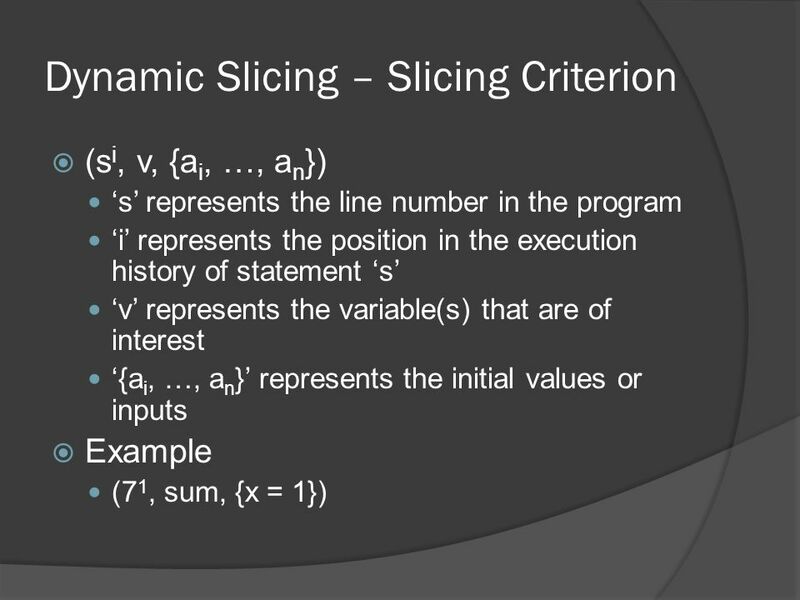 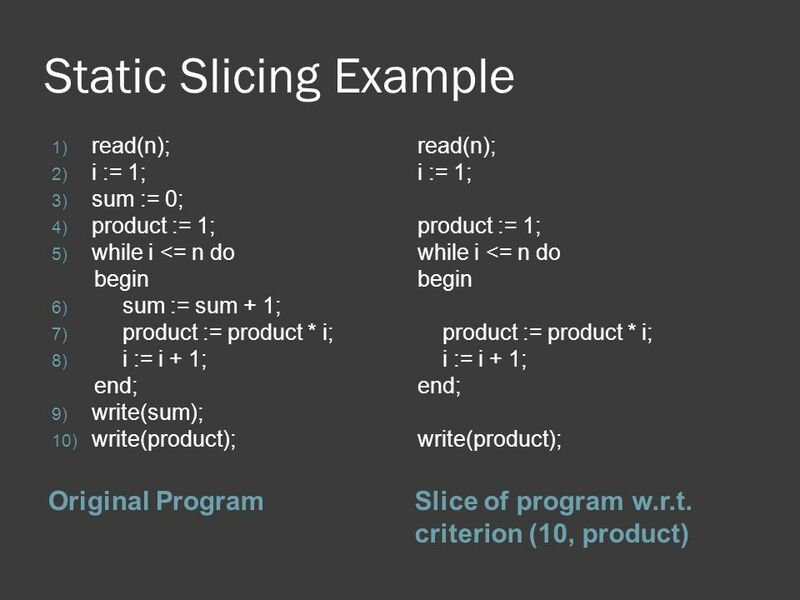 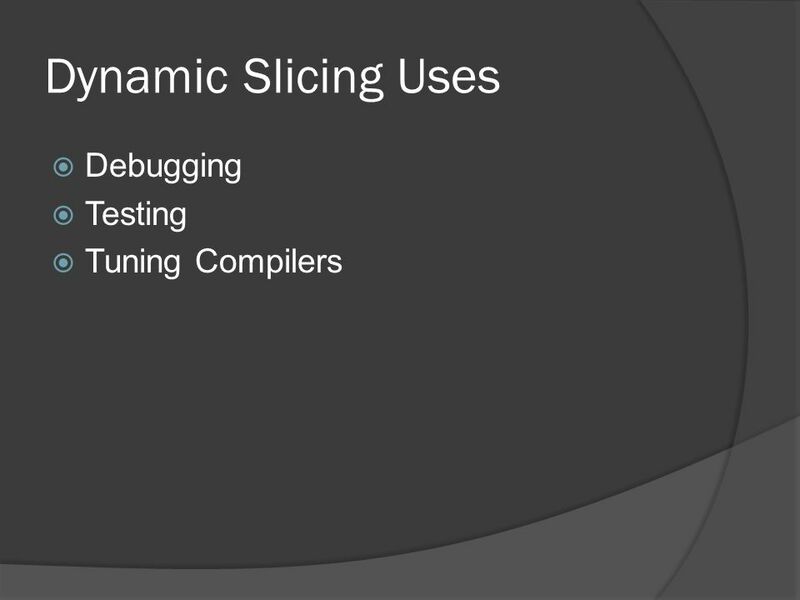 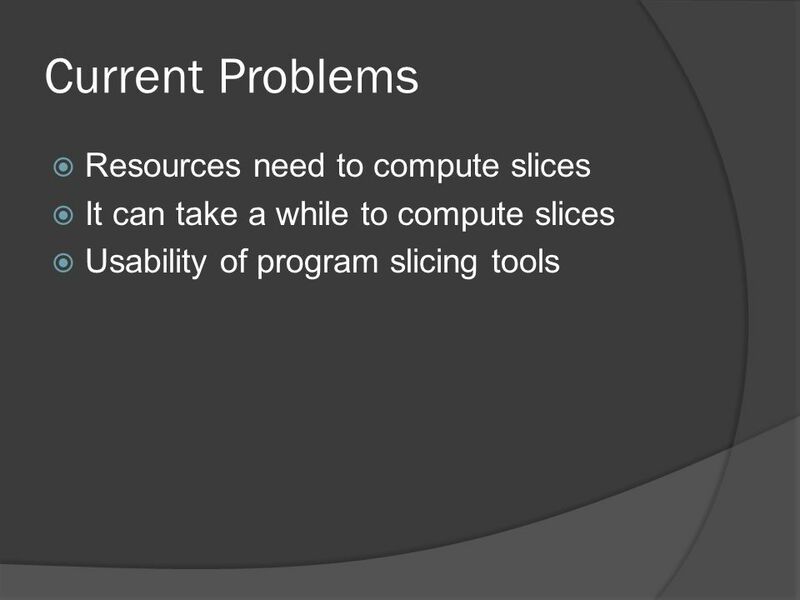 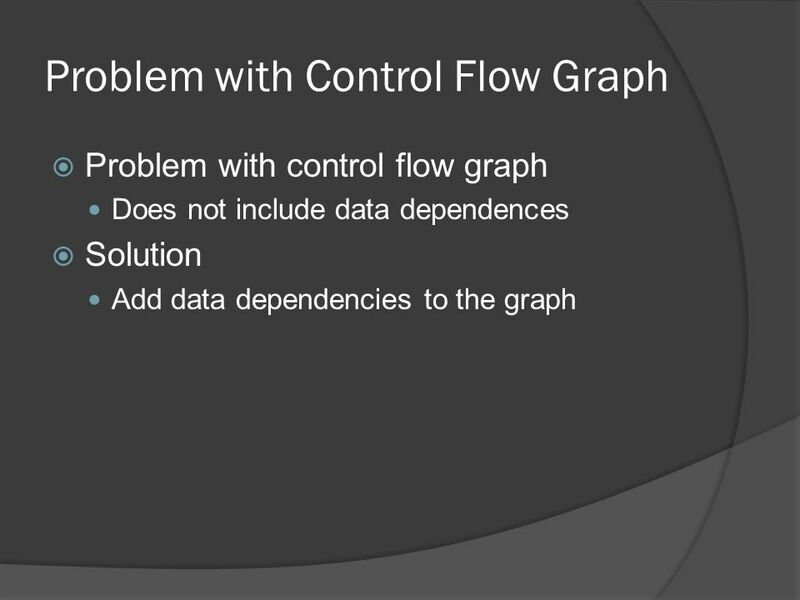 3 What is program slicing? 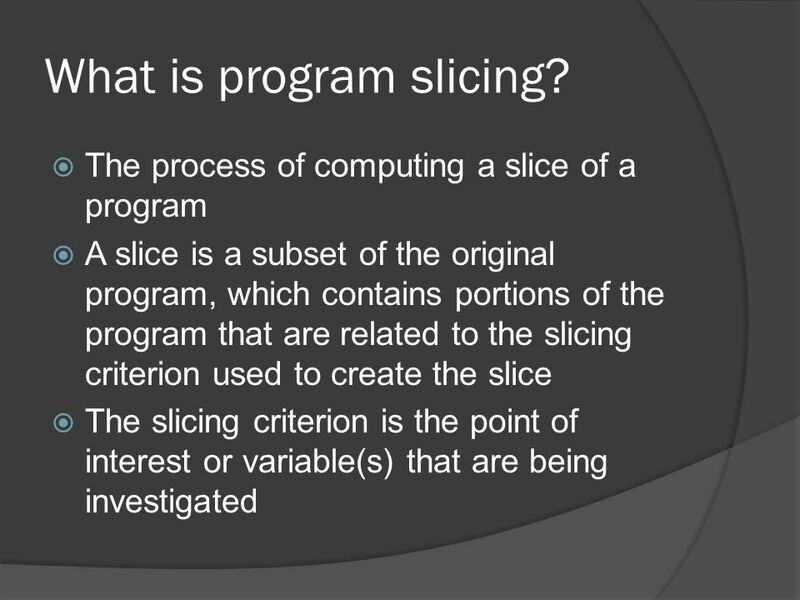 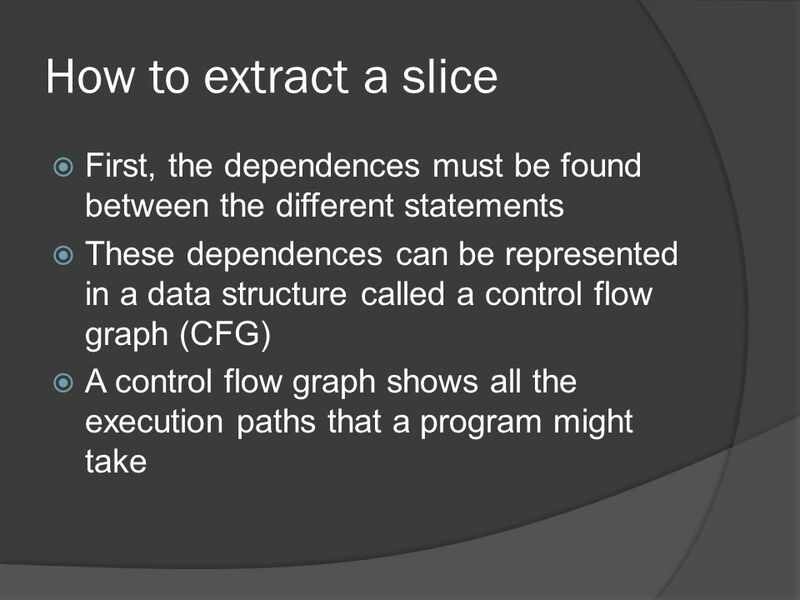 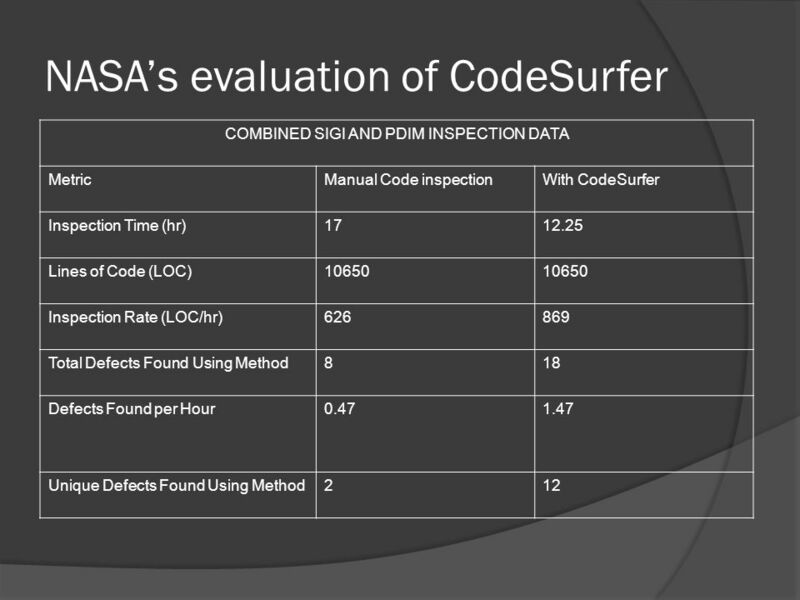 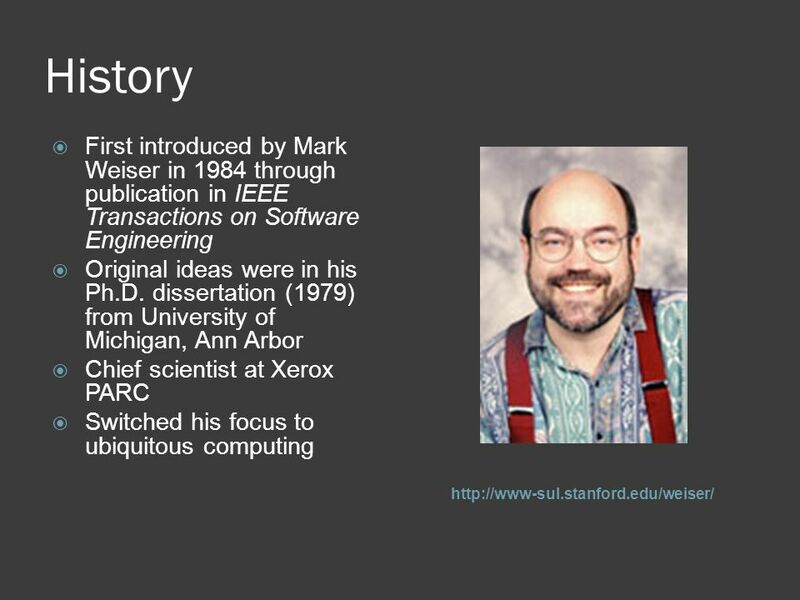 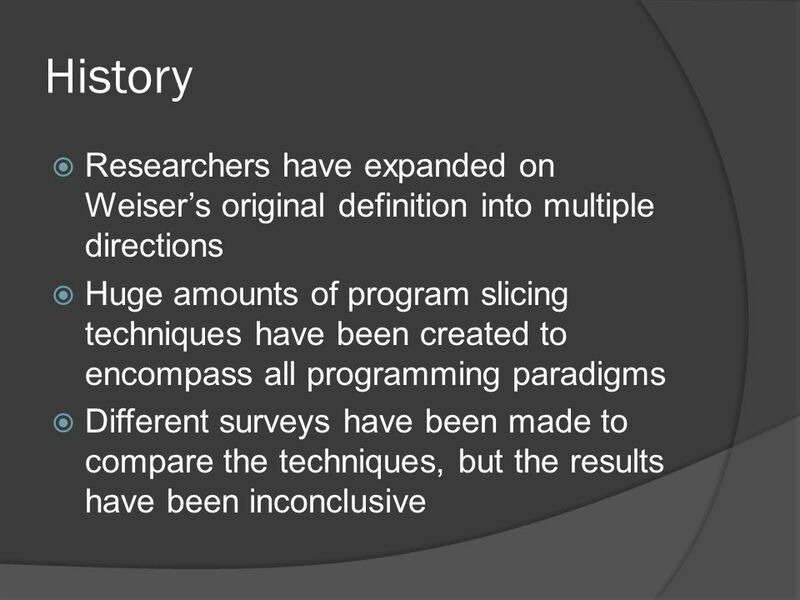 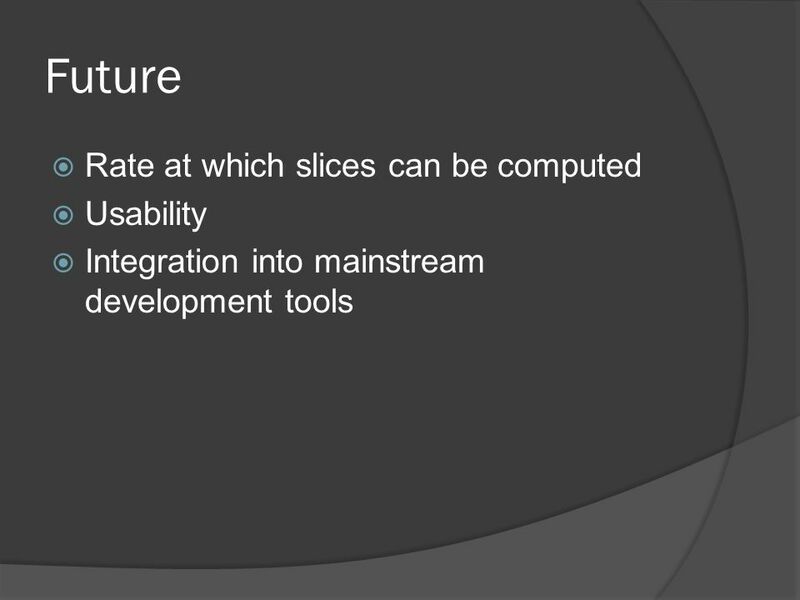 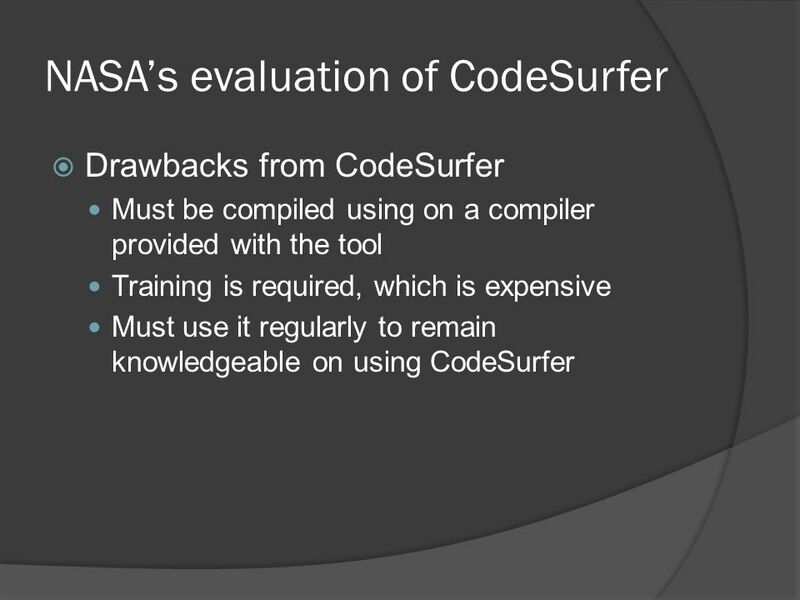 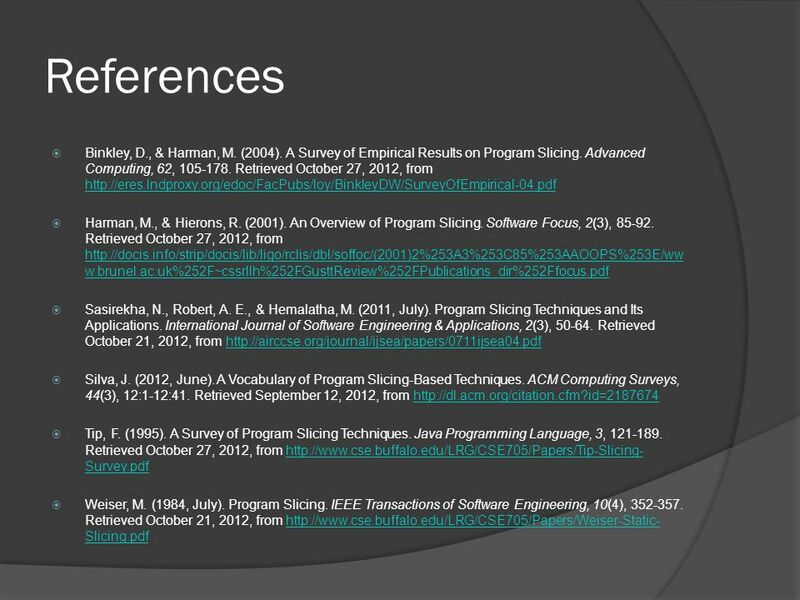 The process of computing a slice of a program A slice is a subset of the original program, which contains portions of the program that are related to the slicing criterion used to create the slice The slicing criterion is the point of interest or variable(s) that are being investigated A slice is an executable program whose behavior must be identical to the specified subset of the original program. 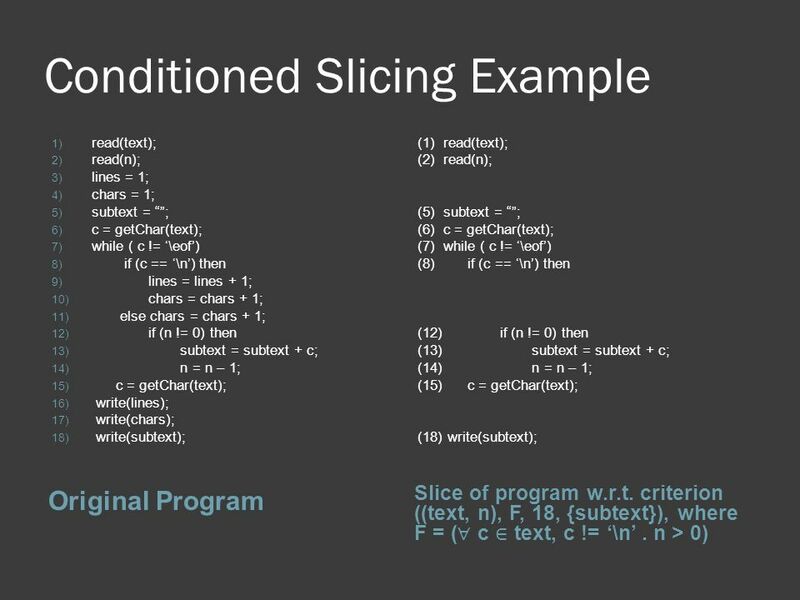 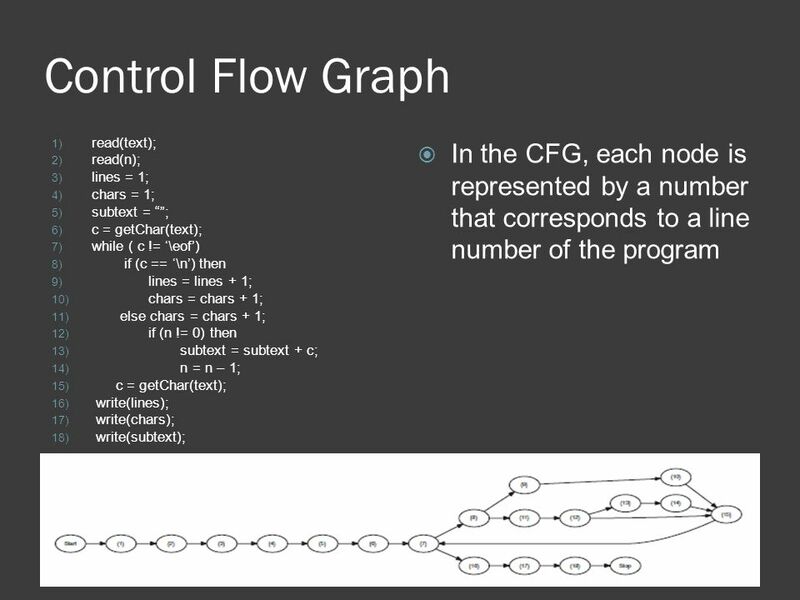 read(text); read(n); lines = 1; chars = 1; subtext = “”; c = getChar(text); while ( c != ‘\eof’) if (c == ‘\n’) then lines = lines + 1; chars = chars + 1; else chars = chars + 1; if (n != 0) then subtext = subtext + c; n = n – 1; write(lines); write(chars); write(subtext); The solid lines represent the control dependencies and the dotted lines represent the data dependencies. 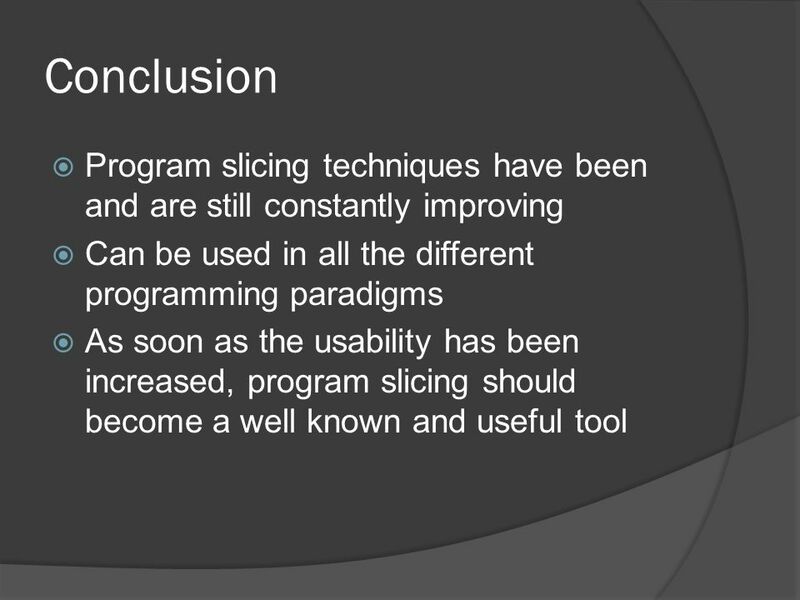 Download ppt "Program Slicing – Based Techniques"
1 End-User Programming to Support Classroom Activities on Small Devices Craig Prince University of Washington VL/HCC 2008.
Credit hours: 4 Contact hours: 50 (30 Theory, 20 Lab) Prerequisite: TB143 Introduction to Personal Computers.